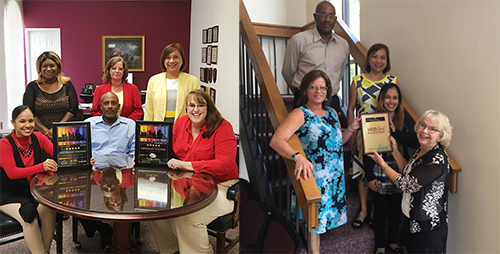 Congratulations to Medrelief Staffing, a division of Advanced Health Education Center, Ltd., for being nominated and awarded, for the second year in a row, the Spectrum Award for Excellence in Customer Service by City Beats News. MEDRelief Staffing was also nominated and awarded the Best Nursing Recruitment Agency in Texas for 2017 by Executive Search and Staffing. 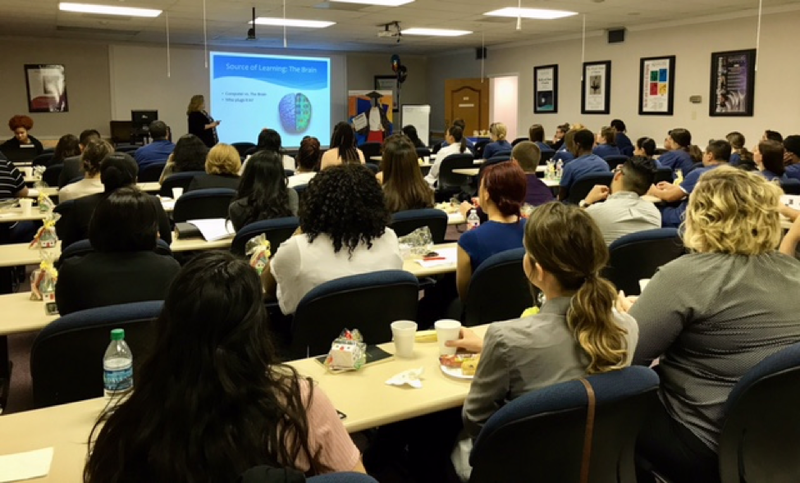 Graduating Radiologic Technology students from seven Houston area radiologic technology programs were invited. The event is provided at no charge for the attendee's and is designed to aid local students in their transition from student to career, and to introduce them to AHEC. The AHEC/MedRelief staff presented expert presentations on test taking strategies, resume writing, social media mistakes, and an update on ARRT and Texas Medical Board applications. The morning ended with a fun game of Jeopardy with review questions. We would like to thank the large group of attendees from both Houston Community College and PIMA Medical Institute for their participation. AHEC is the proud sponsor of the student participation ILEAD Presentation Competition and provides cash awards to the competition winners. The competition is open to students enrolled in radiography programs across Texas. The students who participate choose a topic which relates to Radiologic Sciences or Radiation Therapy. They are responsible for the research, development and PowerPoint presentation of their topic at the annual meeting. The presentations are judged on their originality, value and interest to the medical profession and the actual verbal presentation. The Emerging Researchers Award is a donor-funded research grant through the ASRT Foundation. Initial donors who funded the grant are Rebecca Ludwig, PhD,RT(R),(QM), FAEIRS, FASRT, Dean of the College of Health Sciences at St Petersburg College in St Petersburg, FL and Marilyn Sackett, MEd, RT(R), FASRT, President/CEO of Advanced Health Education Center and MEDRelief Staffing in Houston, TX. The first grant award should be made next year. AHEC/MEDRelief Staffing will be supporting the annual luncheon during National Radiologic Technologist week. The Living Legend Award will be presented to Lois Lehman, RT recently retired from Scottish Rite Hospital, Dallas. Lois has been serving as an AHEC CE Faculty for the past several years. AHEC CEO, Marilyn Sackett, MEd, RT(R), FASRT was the first designated Living Legend in 2008. AHEC is supporting victims of the recent floods in Louisiana and Georgia who had severe damage to their homes. Partnering with the Program Director at Delgado College in New Orleans who is supplying the victims’ names, AHEC contributed to home recovery efforts. 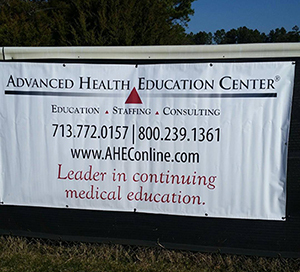 AHEC/MEDRelief Staffing has been a supporter for multiple years for uniforms and this year a fence sign on the playing field. Supporting young people and their sports teams has always been an activity at our place.